At OP Live, we know how important gaming is to your everyday life. And that’s why we’d love to give artists the opportunity to show some love to the titles and characters that have had a big impact on them. From big Triple-A titles to small indie games, no name is too small. Art and gaming go hand and hand, and OP Live wants to show off some local talent, as well as generate some hype for the event (while giving something a little extra to you in return). Must be family friendly (no profanity, 18+, etc.). Other than that, the only limit is your imagination. All work must be digital. Please submit your file at the link below with a file less than 64 MB in .png or .jpg format. Please note that any finalist pieces will be blown up and put on display in the art gallery. Please include the subject line “Art Contest” with your name and what category you wish to submit to. Winners will receive an OP Live swag bag, two passes to the event, the original print that will be on display at the event, and our undying love and support on social media. 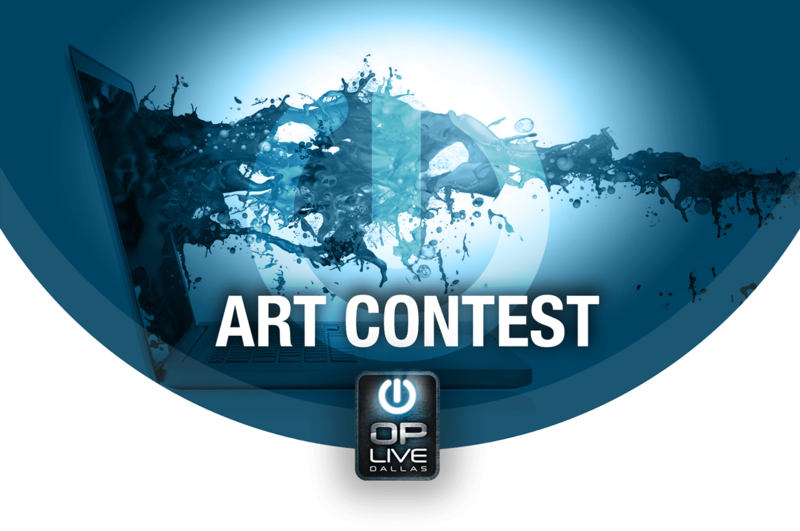 By entering this contest, you consent for us to use your art on our website, social media, and other platforms to promote your brand and the OP Live event, as well as the ability to use your art piece(s) on display at the venue. If entering the Dallas Fuel Fanart or Overwatch category, you also give Dallas Fuel the opportunity to use your art for promotional purposes.